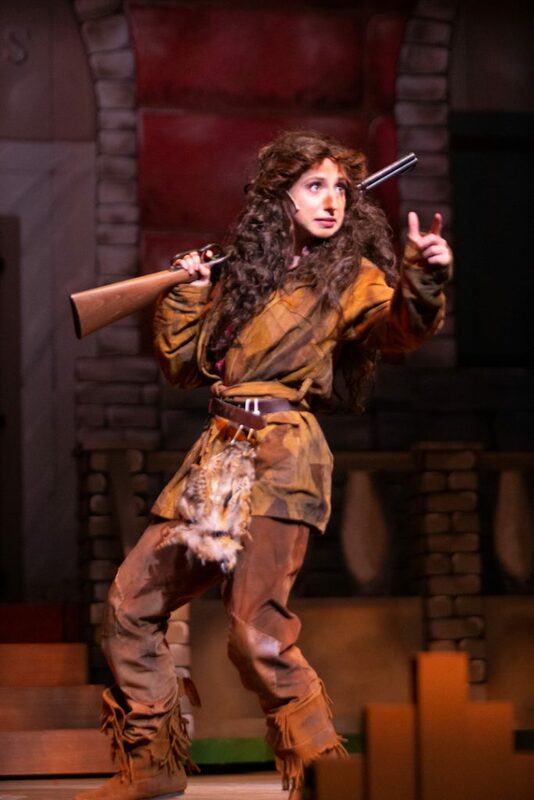 “Annie Get Your Gun” takes the stage for Liberty University’s Department of Theater Arts for the next three weeks as Annie Oakley and Frank Butler shoot, fight and fall in love amidst the rough-and-tumble of “Buffalo Bill” Cody’s Wild West Show. The set, a stage within a stage, includes constantly changing show posters, projections of historic photos, and props and set pieces that roll or fly onstage. The production features 34 cast members in addition to the orchestra and crew. Student Vincent Sadler, who plays Butler, said all these moving pieces combine with complex dance numbers for a challenging performance. 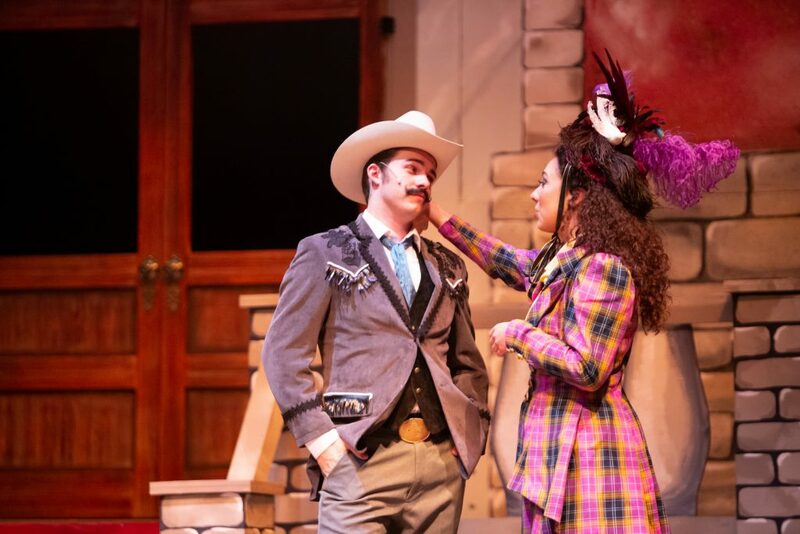 The 1999 revival of this classic musical recounts Annie Oakley’s rise from a backwoods hunter who “can’t get a man with a gun” to a sharpshooter in silk who “shoots the pants off the king of France” during her whirlwind tour of Europe. The historical Annie Oakley, born Phoebe Mosey, sold game she trapped and shot to support her family until she defeated Butler in a shooting competition at about age 15. She later married Butler, and they eventually died within a month of each other. Oakley taught thousands of women to shoot and spent her fortune on philanthropy. Senior Hannah Mehl plays Oakley and enjoyed researching Oakley’s life and legacy. In the show, Oakley rarely stands still. Director Andy Geffken praised Mehl’s dedicated preparation and her mastery of humor and tenderness. Geffken said he enjoyed working with actors to emphasize the humor of the musical, which he hopes will help audiences relax during the end-of-semester rush. The show introduces audiences to a stage full of rambunctious, larger-than-life characters who stomp, tap and swing their way through its two and a half hours, hitting the bull’s-eye with a joyful conclusion. 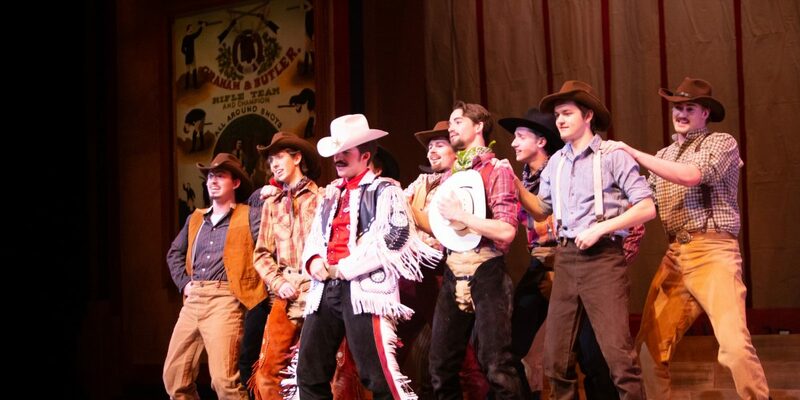 “Annie Get Your Gun” will be performed April 12-28 in the Tower Theater. For tickets, call (434) 582-7328 or visit liberty.edu.